Baltimore Heritage Area Association, Inc.
Notice: You can only pay for Real Property Taxes here. If you would like to pay your Special Benefits District Surcharge, then please visit the Special Benefit District Surcharge page. This page is for Real Property taxes. Use this link for Special Benefit District Surcharges. If you know the Block & Lot, enter only the block & lot. If you are searching by property address or owner name, you may enter any portion of either or both of those fields. When you enter data in a search field, the data you entered is looked for anywhere within that field. For example, if you enter Blue in the Address field, you will get results including Blueberry, Bluebonnet, TrueBlue, etc. Directions such as North, South, East, West should be entered as N,S,E,W with no period. Leave off all street suffixes such as St.,Way, Road etc. When searching by name, enter in LastName, FirstName format. Returned search results are limited to 50 records. If you reach this limit, please refine your search criteria. 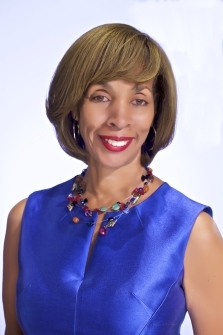 This website was hand crafted by the Mayor's Office of Information Technology for the Citizens of Baltimore City. Citizen feedback and participation is welcome and highly encouraged. If you'd like to help make this website better, please email the Webmaster.